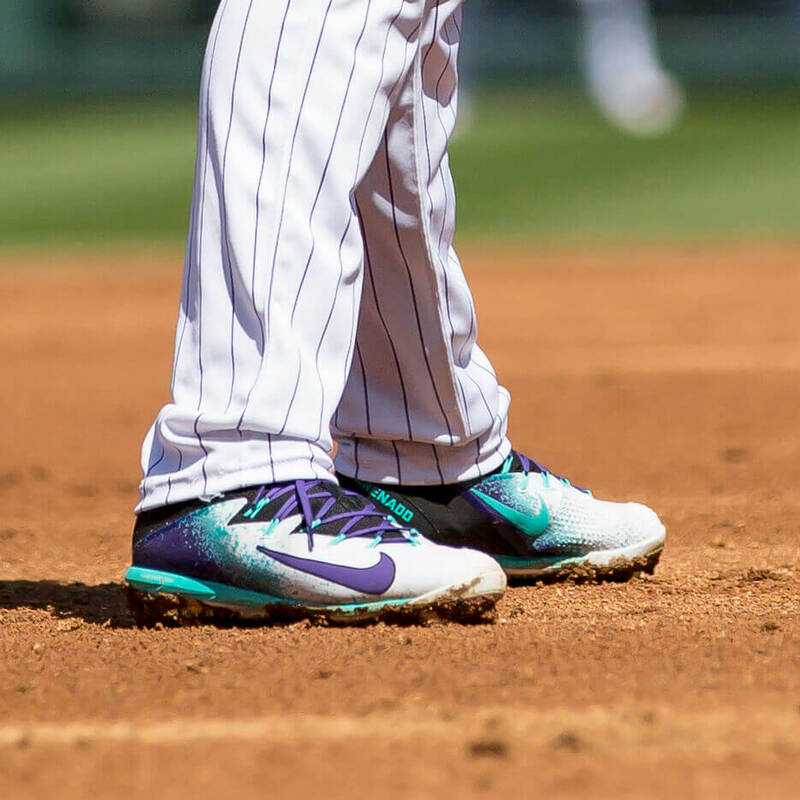 For the best cleats of 2017, we asked you, the readers to weigh in. 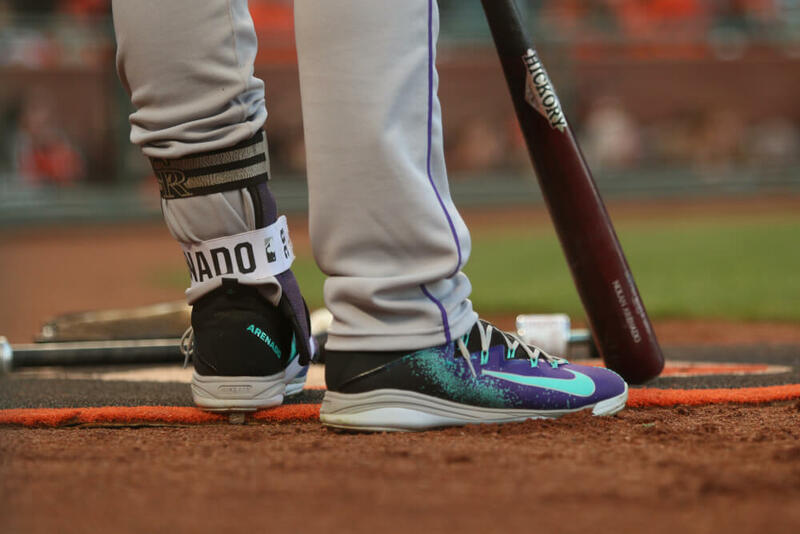 Based on WPW app popularity and your votes, here are the top 8 MLB cleats of 2017. 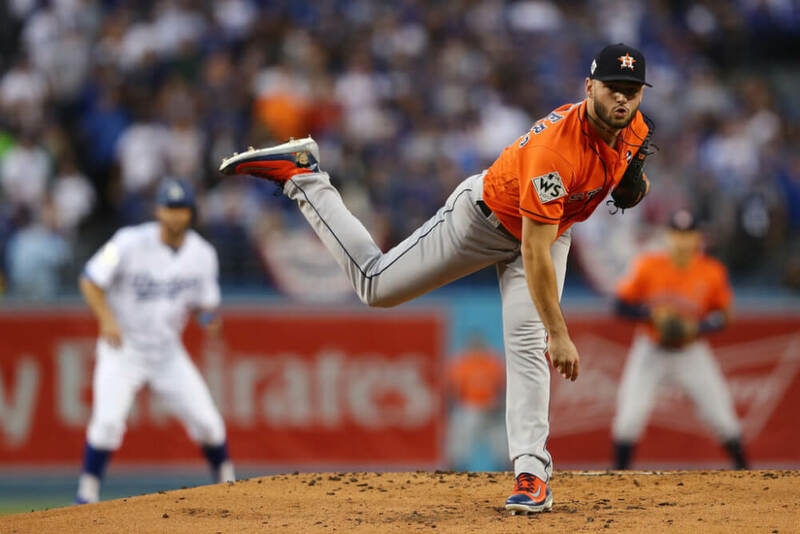 Did Lance think he’d have Jose with him on the mound in Game 7 of the World Series? No one could have predicted it, but that’s exactly what happened. 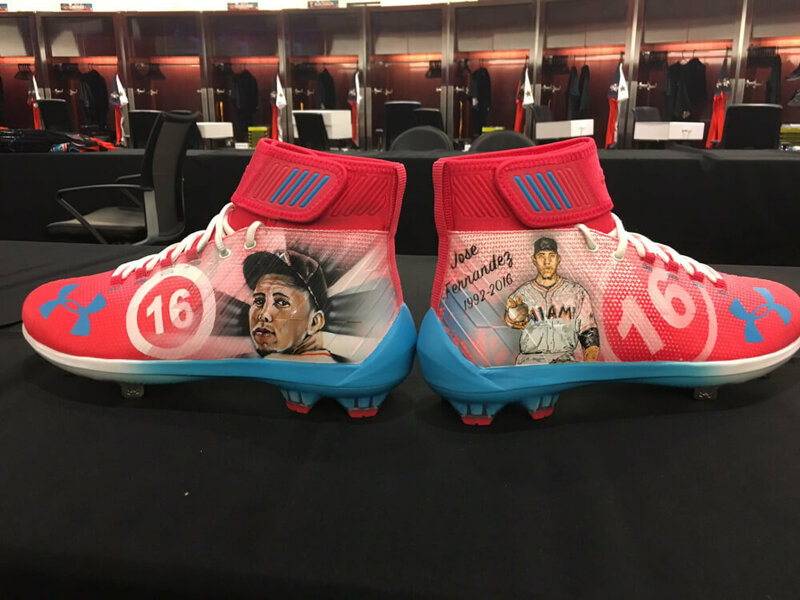 You can see Jose’s face on the heel of his right foot. Lance threw 2 1/3rd scoreless and left with the lead. Can’t say I disagree. 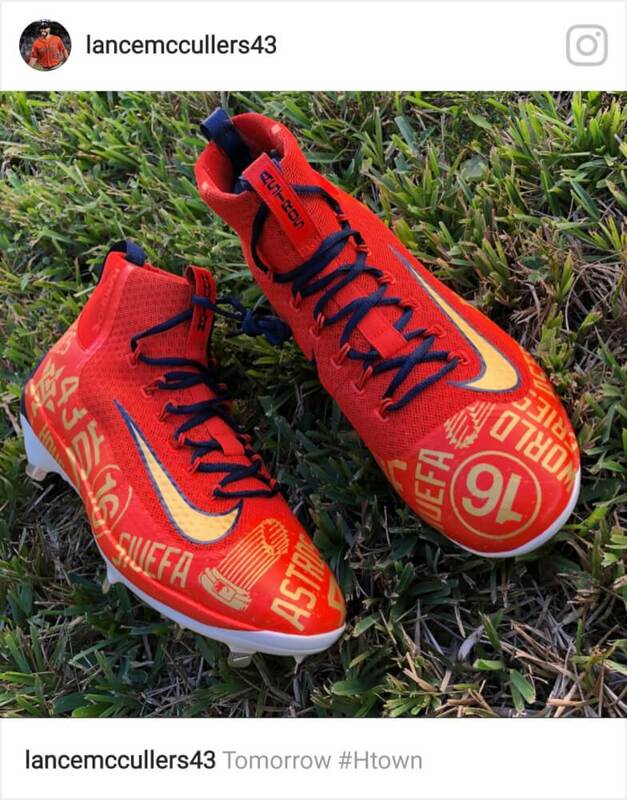 Those are absolute flames. Herein lies the problem with having tons of heat. Hard to pick one. 2K Filth are on sale here. 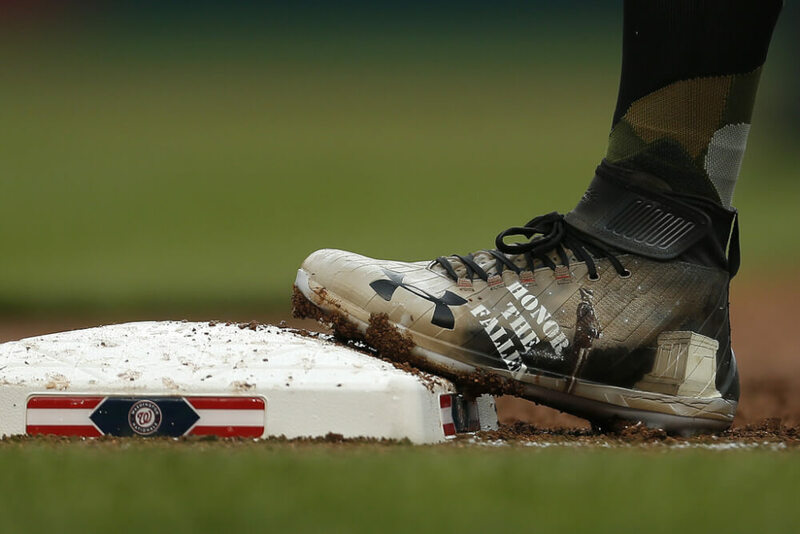 Adidas, without question, has been the most creative company in baseball footwear for the last two seasons. 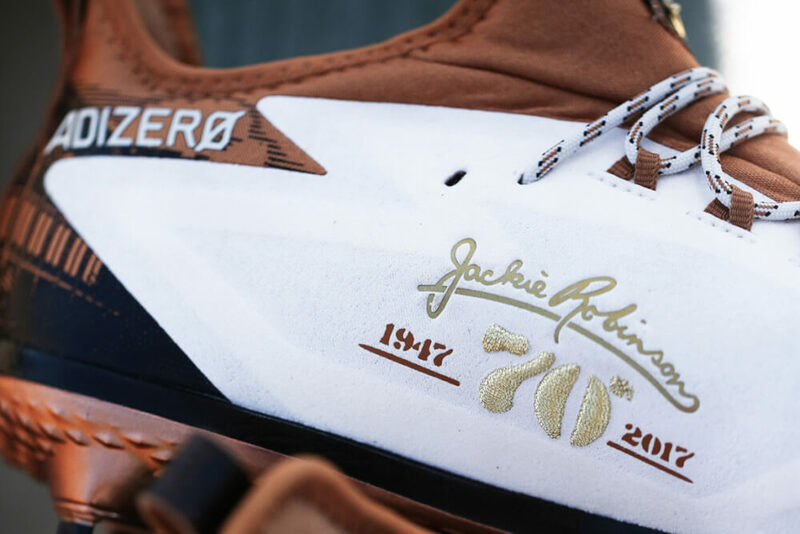 They took home our 2016 “Cleat of the Year” with their Roberto Clemente Boost Icon, and they followed that up with another season of top-notch creativity. 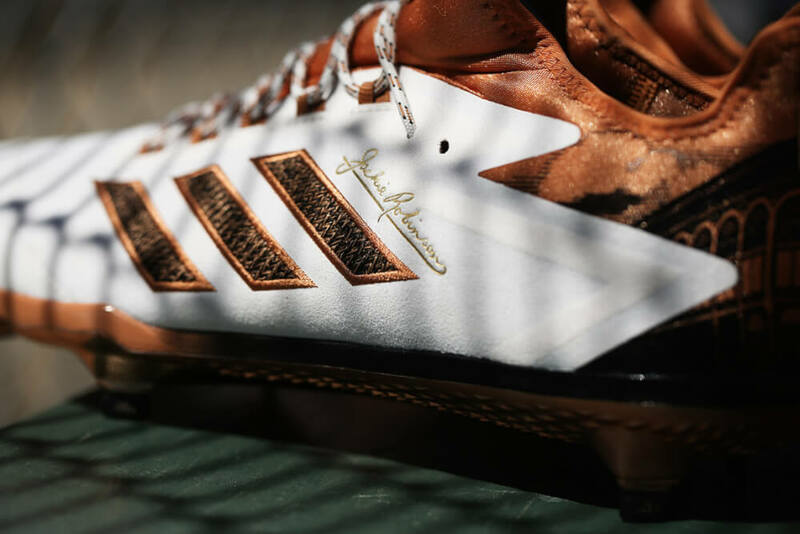 Jackie Robinson Day has become one of the better days for footwear, and Adidas won the day with these AB4s. Shop them here in a range of colors, but you can only find the Jackies on eBay. 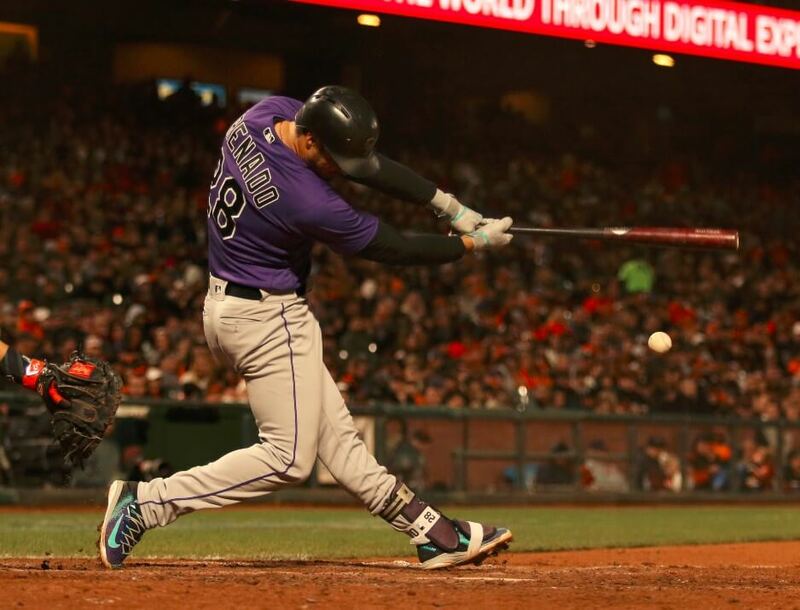 5-tool players are great, but how about 6-tool? 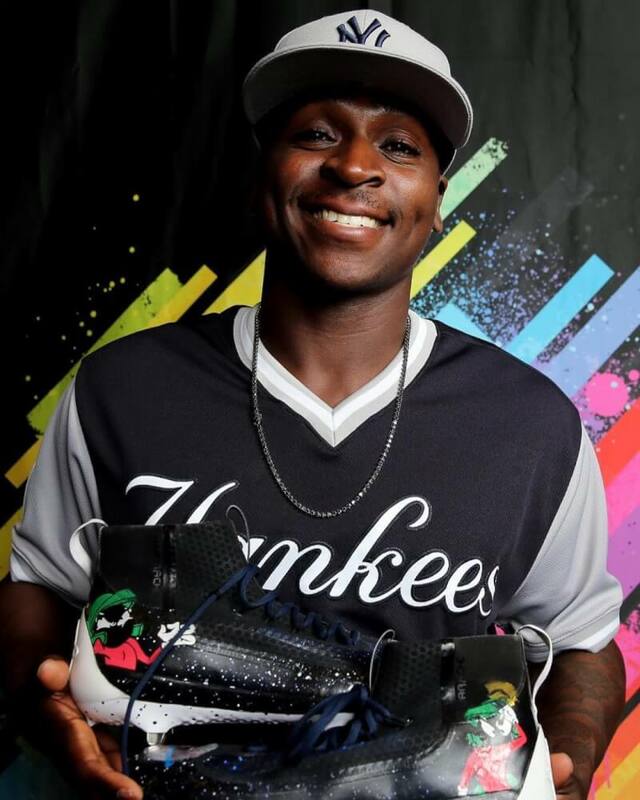 Didi Gregorius hits for power, average, fields, throws, runs, but his 6th tool may be his most impressive… The brush! …the one that basically has the entire Looney Tunes fam on it. 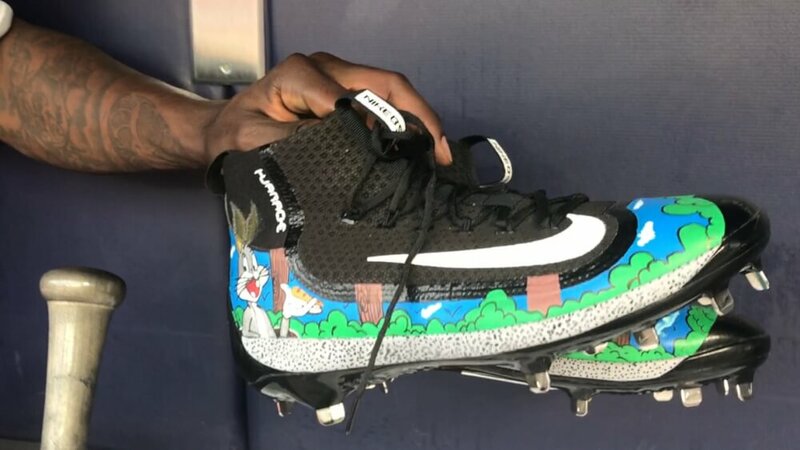 Former 1st overall pick Tim Beckham had a breakout season in 2017, but he’s always had tremendous taste in cleats. 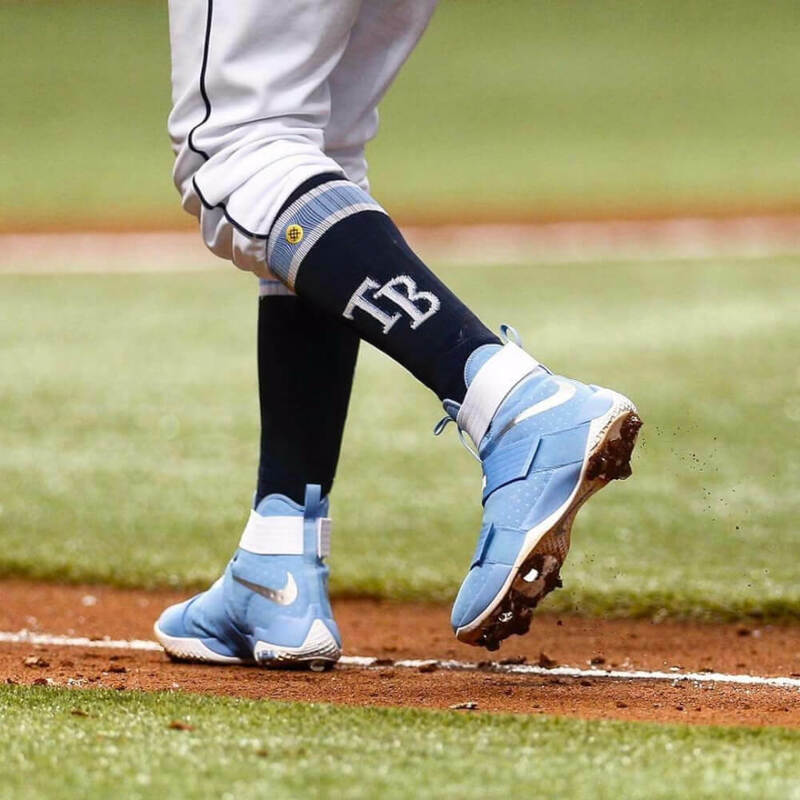 He wore one of our favorites from back in 2013, these digi-camo MVP Elite 3/4, and while he was with the Rays, took full advantage of our favorite color scheme in MLB. 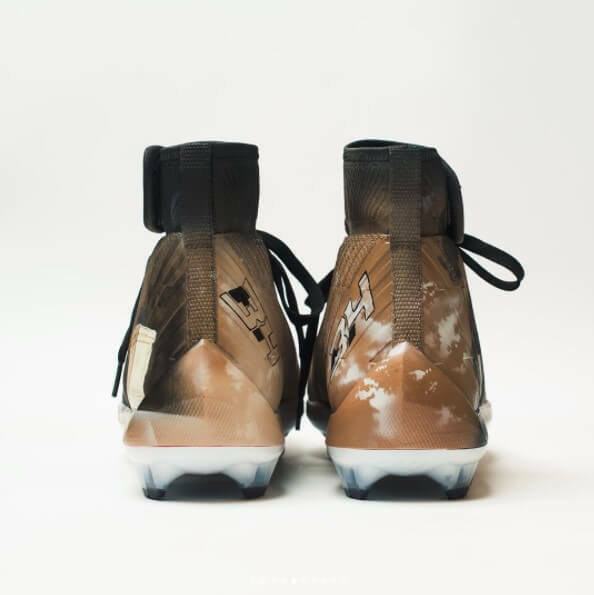 The Lebron Soldier 10s are one of conversion specialist Custom Cleats most popular shoes, and Beckham wore the best colorway we’ve seen on them. 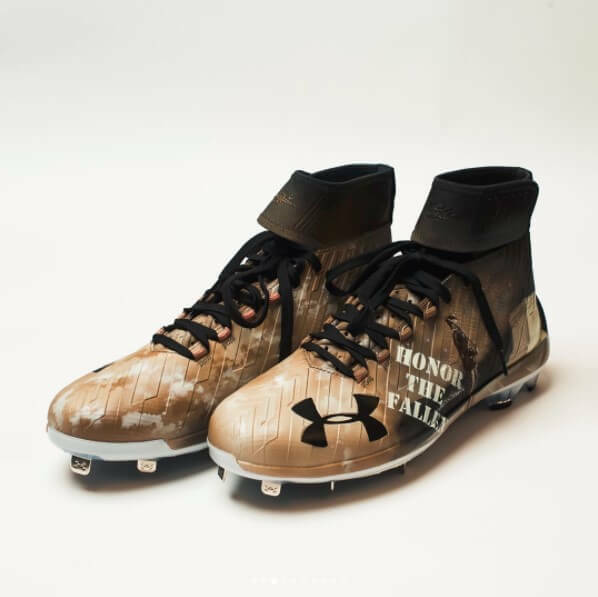 Shop the Soldier 10 then convert them to cleats with Custom Cleats. 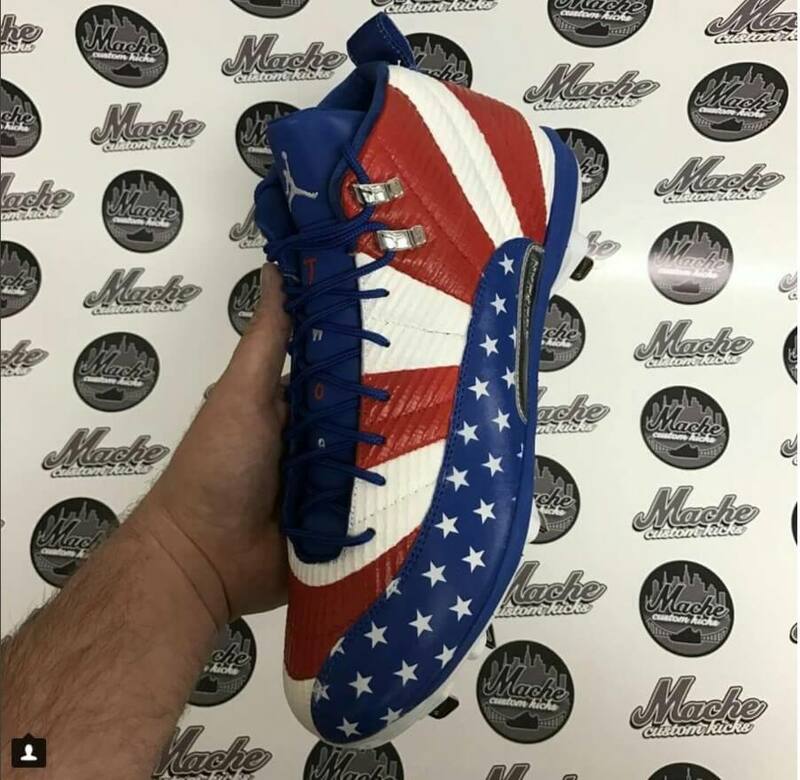 Bryce introduced his Harper 2s to the world with these Memorial Day beauties by @dezcustomz. 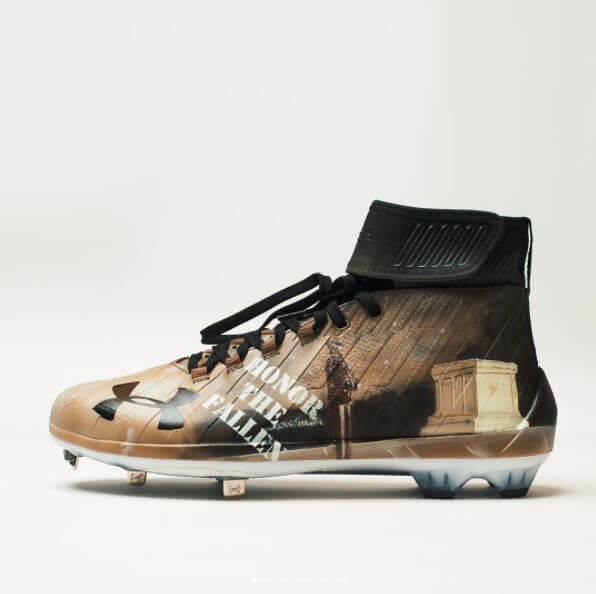 The cleats pay homage to our veterans with illustrations of the Tomb of the Unknown Soldier monument on one side and the Iwo Jima memorial on the other. 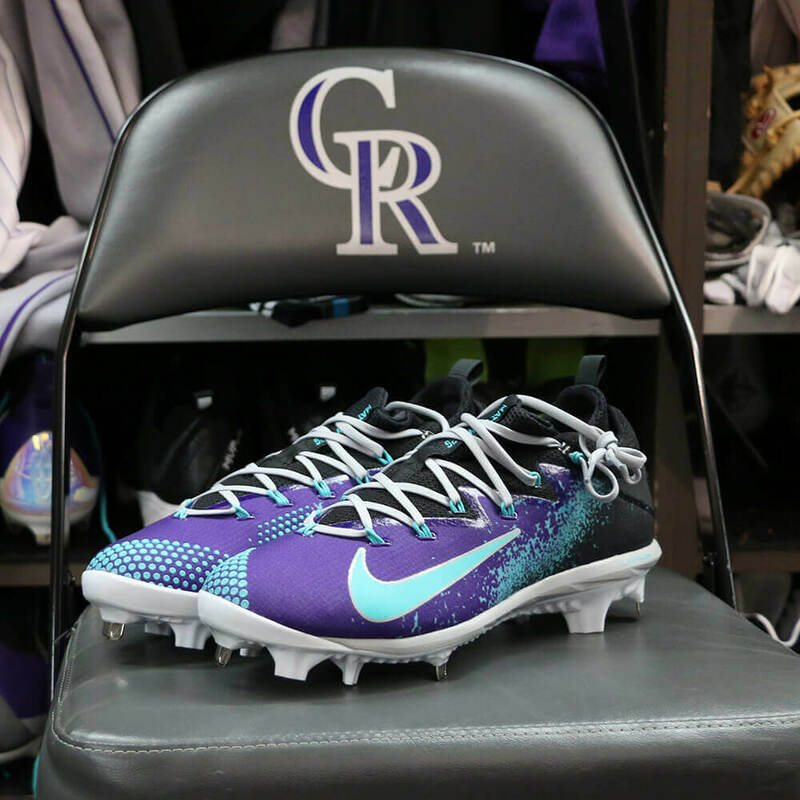 Shop the Harper 2, then call Dez Customs for the full treatment, but we’re gonna guess that this type of talent doesn’t come cheap. The WBC started in 2005, and until 2017, USA’s best finish was 4th. 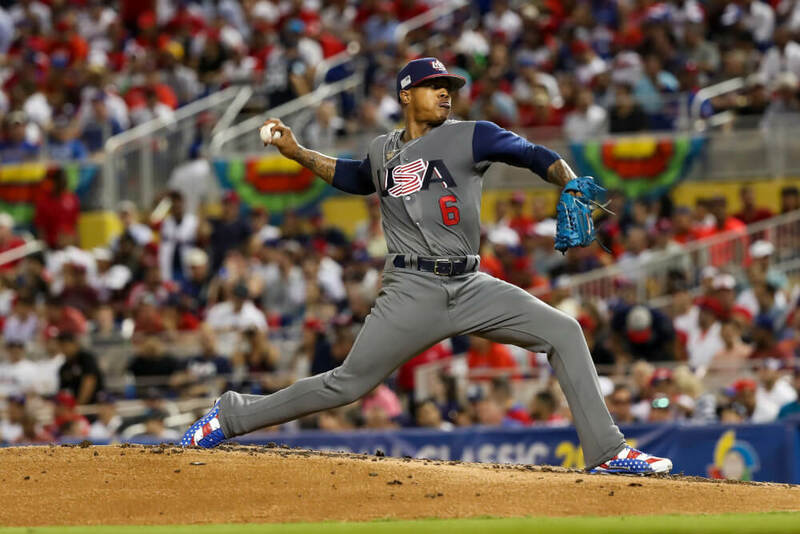 With some of USA’s most accomplished players sitting out the opportunity to represent their country because their agent told them so, NY-native Marcus Stroman took the ball three times for the Stars and Stripes. His best start came in the ‘ship, throwing 6 innings of 1-hit ball, and bringing home the trophy for Lady Liberty. 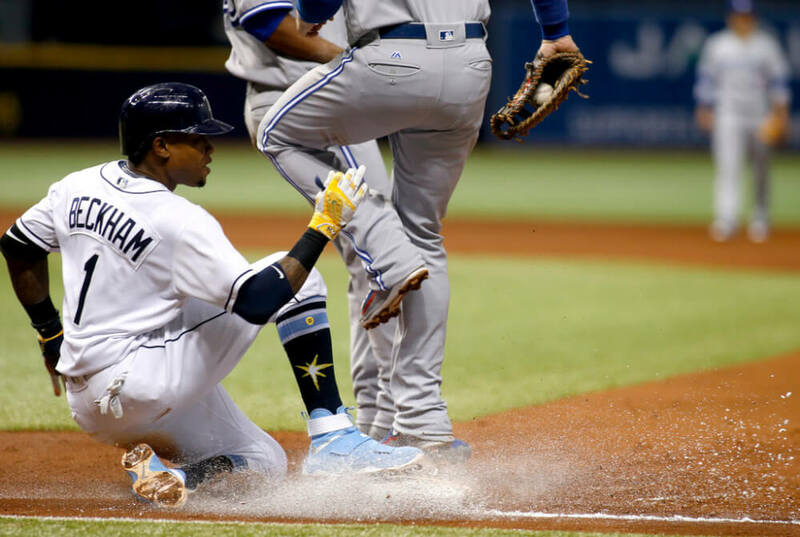 Mache, one of the GOATs of footwear artistry, put Stroman in what he dubbed the “Apollo Creed” 12s for the Championship. 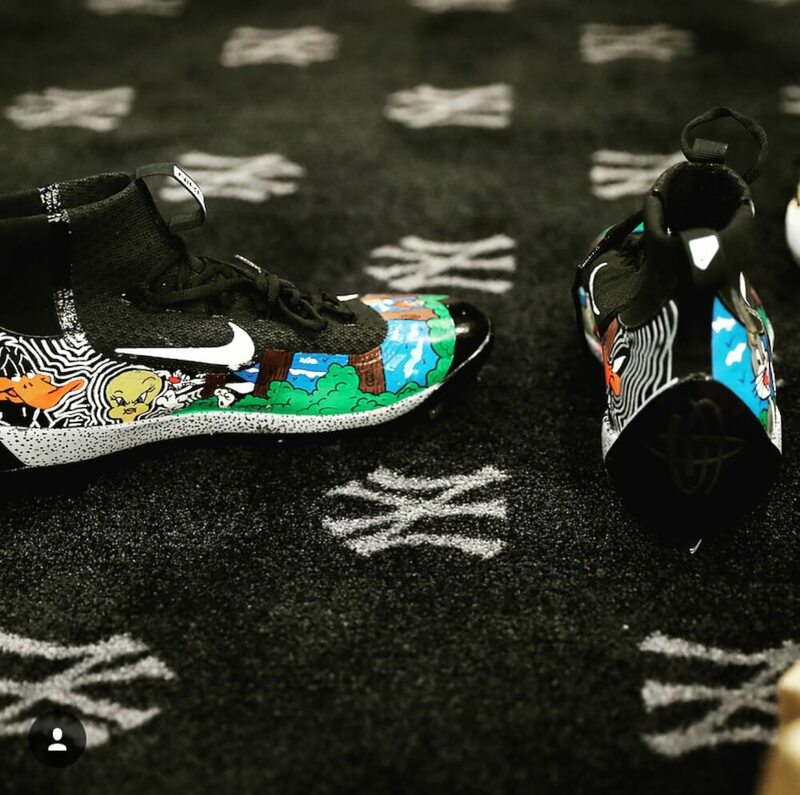 As a NY native himself and a former college pitcher, Mache called these his favorites of 2017. 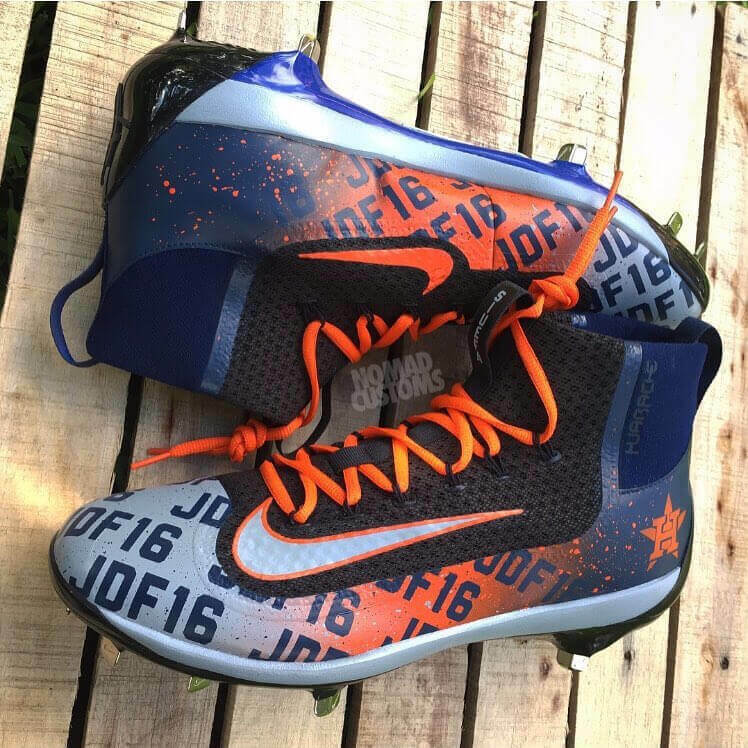 While much of the baseball world was too cowardly to say they still loved Jose Fernandez despite his mistakes on the night he died, Bryce Harper couldn’t have expressed his love any louder than with these Harper 2s on All-Star night. 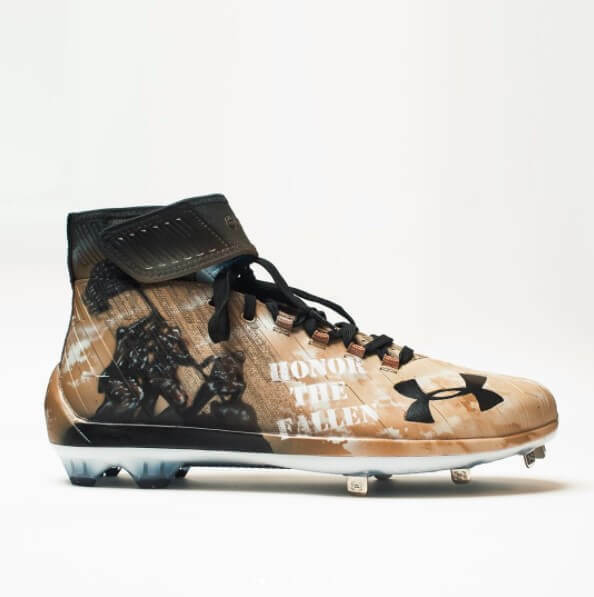 Bryce had the sickest cleats on the field that night. 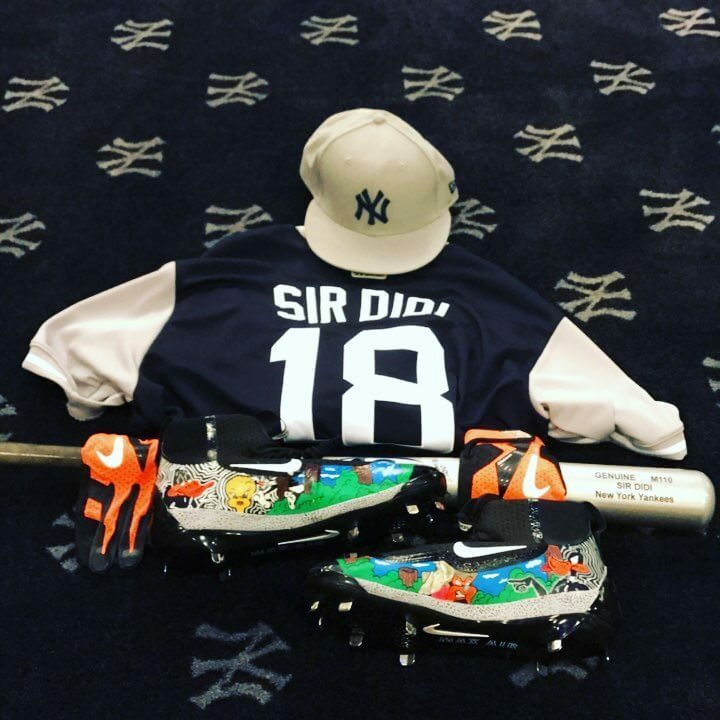 Dez Customs did it again—the only artist with two entries in the top 8. Shop the Miami Harper 2s here. 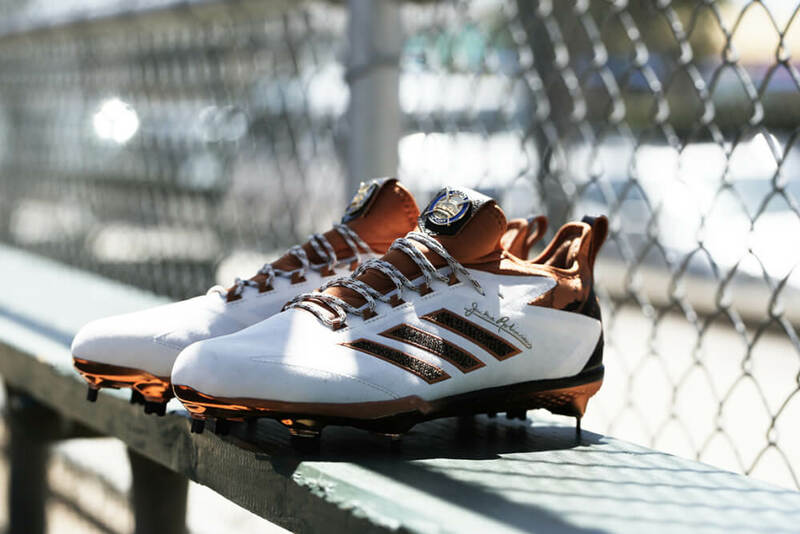 When WPW first laid eyes on these in Spring 2017, we didn’t expect to see anything better the entire year.